Even a few years ago, installing an iOS app without the native App Store or iTunes App Store was a terrific experience for less techie people. This happens to be a problem from the past because of Cydia Impactor kind of changed things a lot. Cydia Impactor is available for Windows and Linux operating systems apart from Mac OS X. Also, the functionality isn’t only limited to iOS. Few Android features are included within Cydia Impactor as well. Cydia Impactor allows installation of iOS IPA files without any signature – thus any IPA file could be used for sideloading of apps in any iOS device. This step by step guide is going to show you the processes. By the end of this guide, you should be able to install/sideload iOS apps into your iPhone or iPad without the App Store. Step 1: Cydia Impactor is free for download software. Visit our downloads page and download the executable installer file to install Cydia Impactor on a Windows or Mac OS based computer. The downloaded package should be a zipped archive, so you may have to extract the files into another destination and ensure that the archive has downloaded properly. Step 2: If you are looking for some specific app to sideload into your iOS device, then download the IPA file of the app as well. IPA files are commonly available on the internet and reachable through Google searches. Also, you may look into some online communities and forums that upload and host IPA files. Look for Cydia Impactor communities for an appropriate response. Please be informed that DEB files do not work with iOS or Cydia Impactor. Step 3: Install Cydia Impactor following the on-screen instructions. Once the software is installed, launch it. Or if you have an archive with an Impactor.exe file, just launch the program. 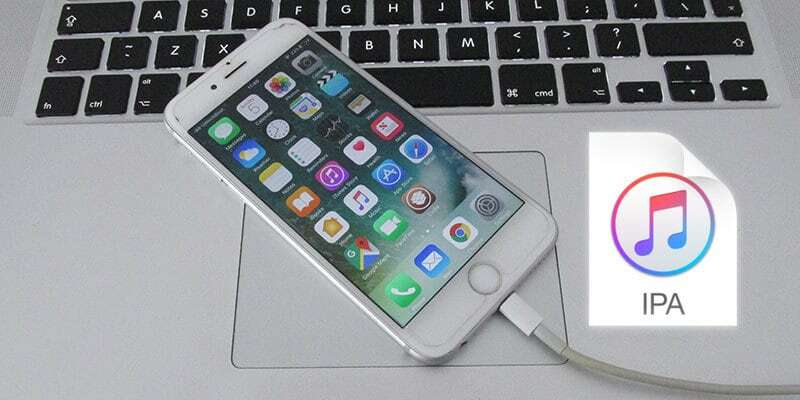 Have your lightning connector ready and connect your iPhone or iPad to the PC using the cable. Wait until your PC recognizes the Apple Device as a valid connection. You need to have iTunes installed beforehand for the Apple drivers. 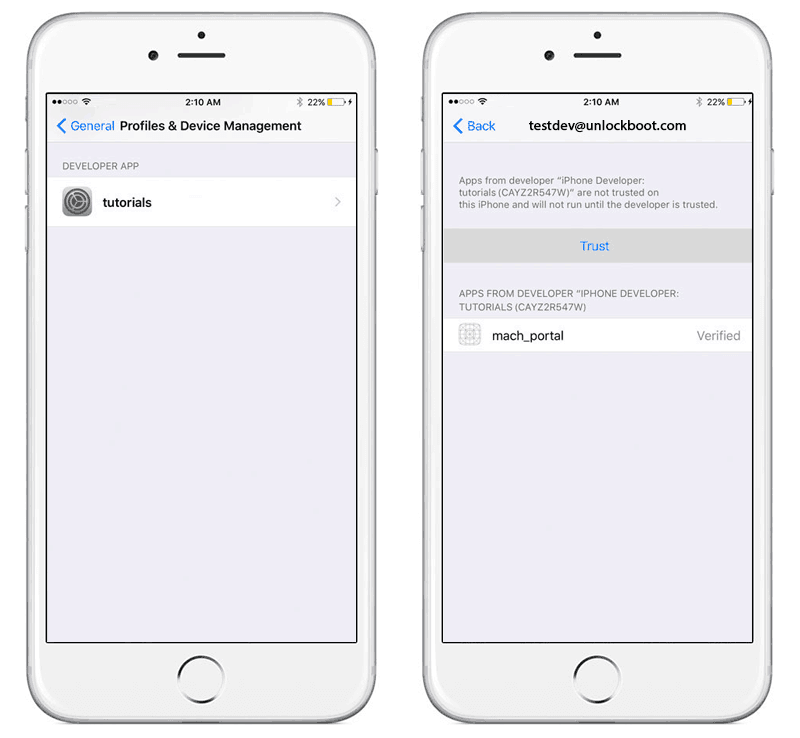 Step 4: Once Cydia Impactor opens on your PC or Mac, click on the drop-down list and click on your iOS device’s name. Step 5: To sideload an iOS app into the selected iOS device, just drag and drop the IPA file onto Cydia Impactor window. The program should ask you for your Apple ID and password. Fill in the exact Apple ID and password that is used with the iOS device you are about to install an IPA file in. If you are confused, check on your iPhone from Settings or inside iTunes UI on your computer. Step 6: An error message might show up. Click on Ok. Step 7: Cydia Impactor will do some work in the background. Bear with the software with patience. The IPA file needs to be validated through an Apple server, so an internet connection is necessary. Step 8: Once done, go to Settings -> General -> Profile & Device Management. A new certificate should be listed, tap on it and tap ‘Trust’. After you complete all the steps above, the app icon should now be on the home screen. You can now use the app on your iPhone, iPad or iPod Touch on any iOS version including beta versions. Conclusion: Sideloading an iOS app is easy through Cydia Impactor, as long as you can find the correct IPA file.